The basis for all quality tooling is rooted in the design process. We leverage the latest tooling design software to design and machine every detail of your injection mold right from the design data itself. Using these technologies, we are capable of solving even the most complex machining issues, decreasing production time and helping you get your product to market faster and more affordably than ever. Our specialty is plastic injection mold engineering, but we also provide consultation services to assist with part development, reverse-engineering, and prototyping. Our experience is your asset, as we offer a full range of value-added services that give you access to decades of industry-proven expertise and insight. Simply put, we can provide you with turnkey custom injection molding and plastic tooling solutions for just about any kind of project. 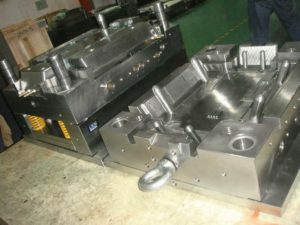 No matter how challenging your needs may be, our mold tools will deliver reliable, predictable, outstanding performance. Quality. It’s the reason you choose precision tooling for your job and it’s the reason we are the right choice for that job. We have a long-standing reputation for our commitment to quality and we work hard to maintain that standard, ensuring your result is the best quality mold tool you could ask for. All molds are made to exacting specifications and the entire process is managed by our in-house team. We run each mold through a stringent set of testing procedures and only approve the release when we are absolutely satisfied with the result. From design to modifications to maintenance and refurbishment, you can be 100 percent confident that your job has the benefit of our complete attention to even the tiniest detail. We combine today’s technology with time-honored processes to deliver value and quality – a winning combination that never gets old. Injection molds are high-tech, precision items that need to be properly maintained in order to stay in top form. We oversee tool maintenance for any molds created by us so that you can be sure your investment and downtime are minimized throughout its lifecycle and we will also repair and maintain your existing molds, modify them to our machines, and perform repairs as needed. We will carefully go through each part and make recommendations based on your needs and what we feel is the best possible way to make them happen. Contrary to some people’s opinion, the best, most economical tooling is made right here in the United States, so there is no need to look any further than your backyard for the best possible service. Why wait months for your molds, pay tariffs, import taxes, duties, and excess freight fees when you could have the benefit of getting the job done right here at home? Our engineers are ready, willing, and able to deliver on our promise of quality, precision, and value. When you compare the total cost of ownership, we are confident that you will find that our offer stands out in these areas, every time. Usually, when we first meet our clients, they have already developed their idea. You may have patents in place and a prototype in hand. The next step is to manufacture your product, and this is where we come in. Once we understand you, your company, and your product, we will make recommendations for moving forward. If changes are needed, we will discuss these with you in depth so that you understand our rationale. 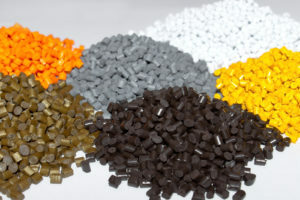 Our goal is to produce the best quality product for you while reducing costs where possible. We will provide you with accurate estimates and expected timelines for the job. While good injection molds are not cheap, cheap injection molds are not good. Since we do all our work in-house, we are able to keep our overhead low and deliver the best possible value to you. Our commitment to excellence is only surpassed by our dedication to customer service. Even though we deal with machines, computers, and precision processes all day, every day, we would be “just another tooling company” if it weren’t for our people. We bring a true passion for tooling into every job we do and love nothing more than to see a great plan come together. Start here: drop us a line or call us directly. We’d love to hear about your needs and talk about how we can help.